Sanrio definitely brings back childhood memories. I remember dropping by Gift Gate every time my mom and I would go to the mall. It is my playland! Every birthdays and Christmas, I would always wish my relatives would give me anything Sanrio. 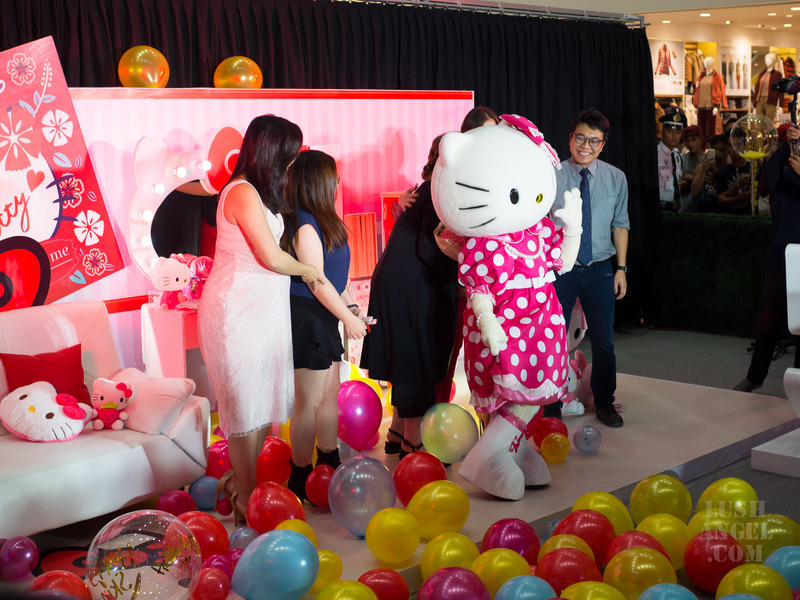 Even the smallest gift brought me so much happiness — that’s Sanrio’s magic! I’m sure fans would agree. 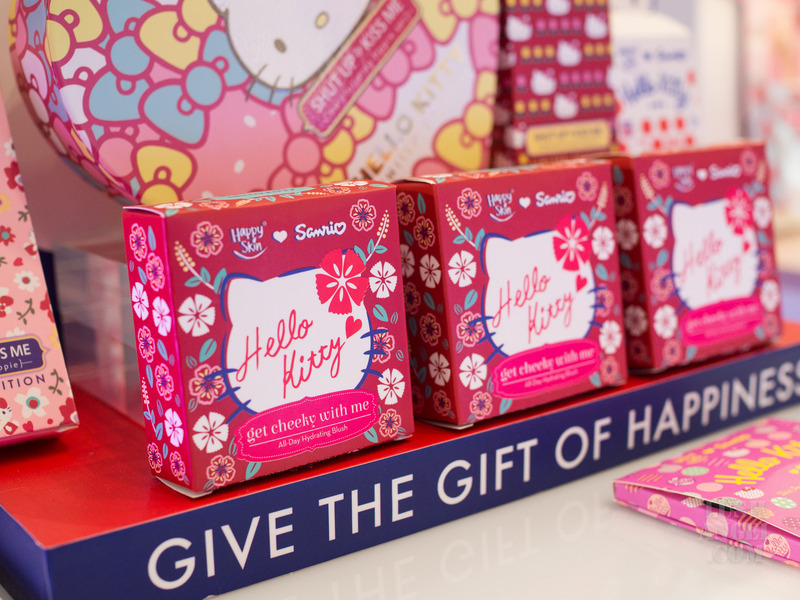 So just imagine my excitement when I learned Happy Skin collaborated with the pop culture icon to bring some of our most favorite characters to life for its holiday collection. Anyway, I won’t keep you waiting. 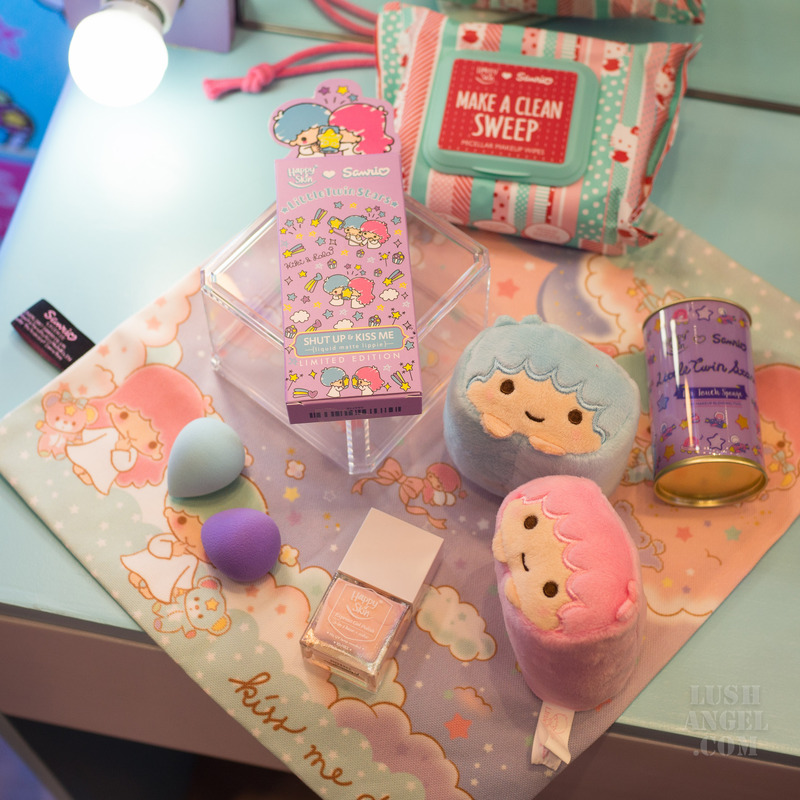 Here is the Happy Skin Sanrio Characters Collection with swatches and prices. 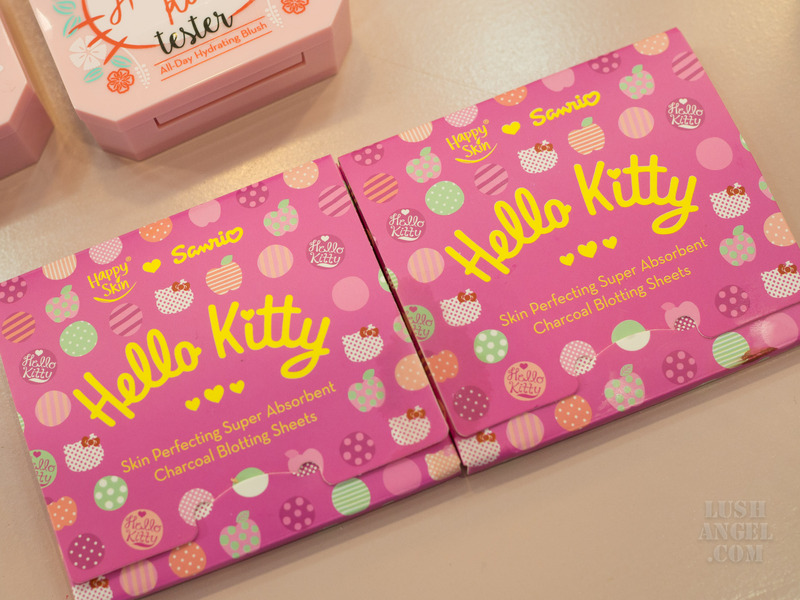 Of course, as expected, the packaging would be super cute!!! 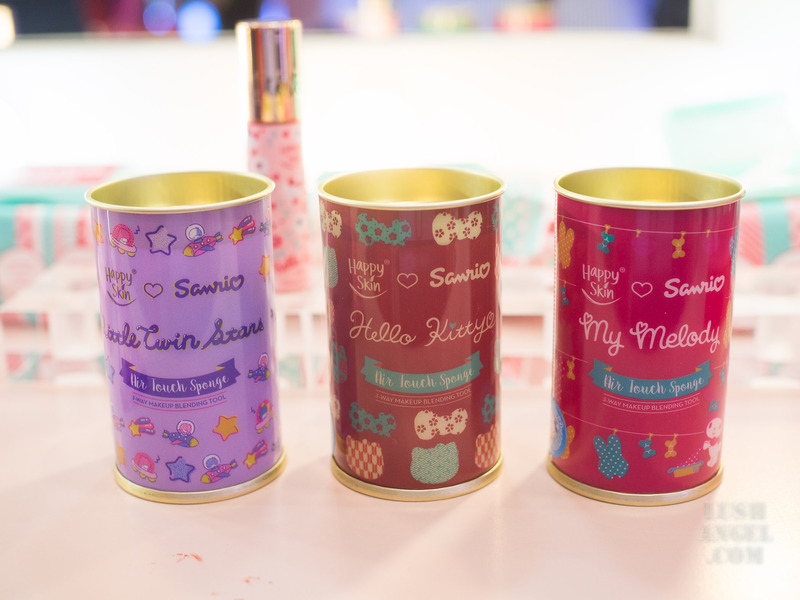 Happy Skin Sanrio Characters Blush comes in 2 shades: My Melody and Hello Kitty. 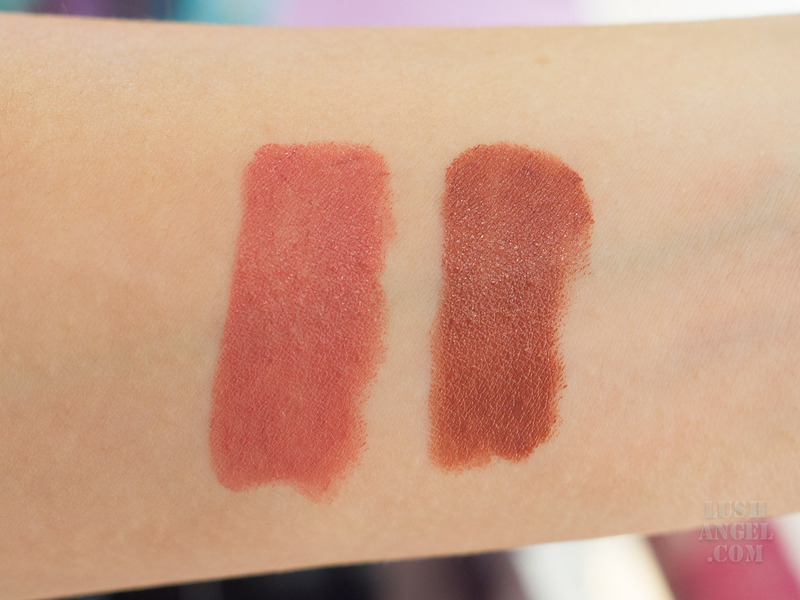 Both are encased in a convenient compact and come with moon brush. Japanese Cherry Blossom Extract in the formula hydrates, while Neem Leaf helps prevent breakouts. 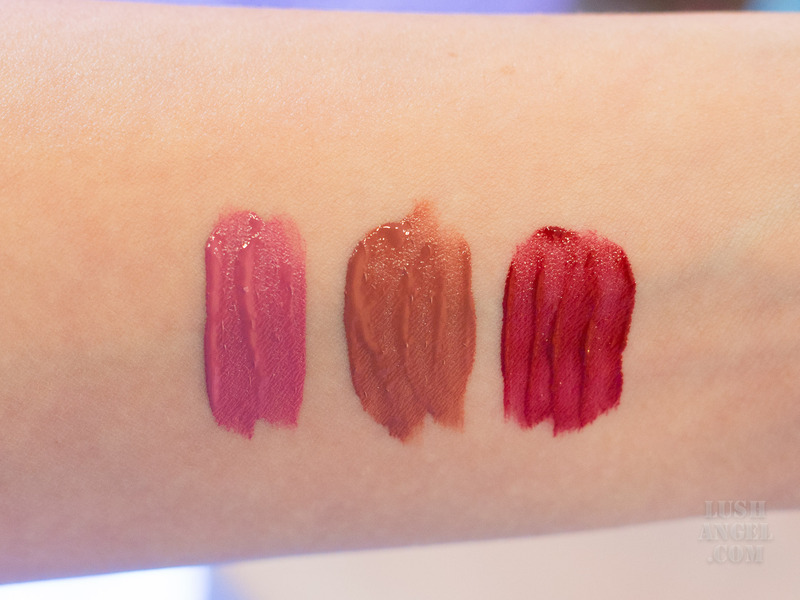 Happy Skin Sanrio Characters Shut Up & Kiss Me Liquid Matte Lippie comes in Little Twin Stars (2 shades) and Hello Kitty (1 shade). 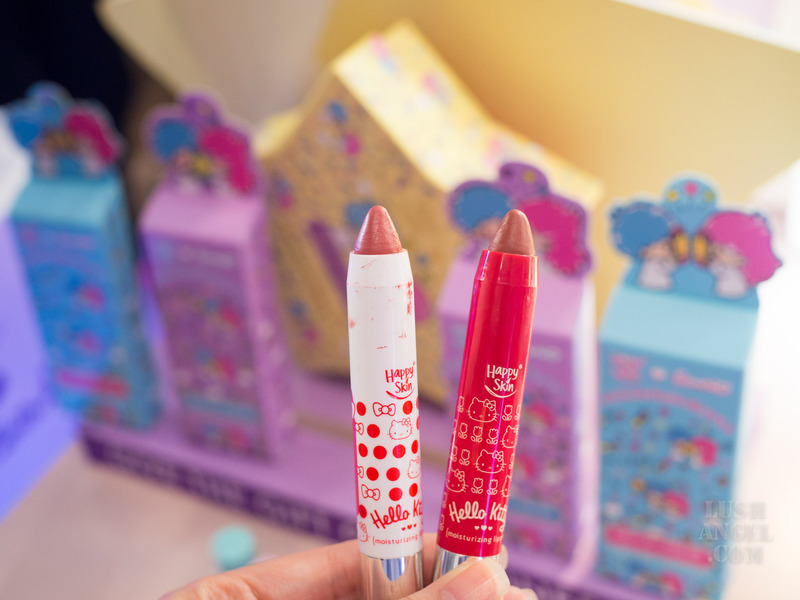 Happy Skin Sanrio Characters Shut Up & Kiss Me Moisturizing Lippie comes in 2 shades of Hello Kitty. 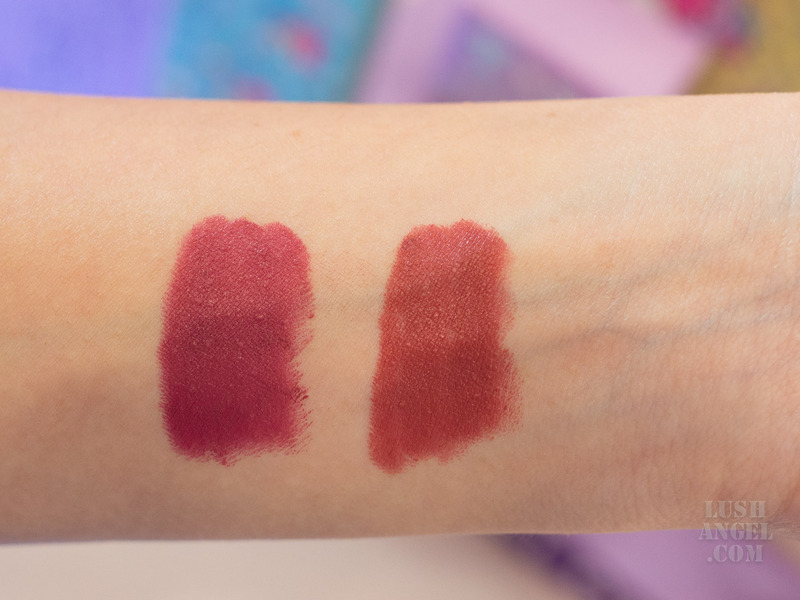 Happy Skin Sanrio Characters Shut Up & Kiss Me Moisturizing Matte Lippie comes in 2 shades of My Melody. I have not had the chance to try Happy Skin’s Express Gel Polish but it is said to be chip-resistant, long-wearing, and has super shiny finish. Best of all, there’s no need for a UV lamp! It also has 10-free formula (free from 10 toxic ingredients) also contains Hydrolyzed Keratin to strengthen nails and Almond Oil to nourish them. 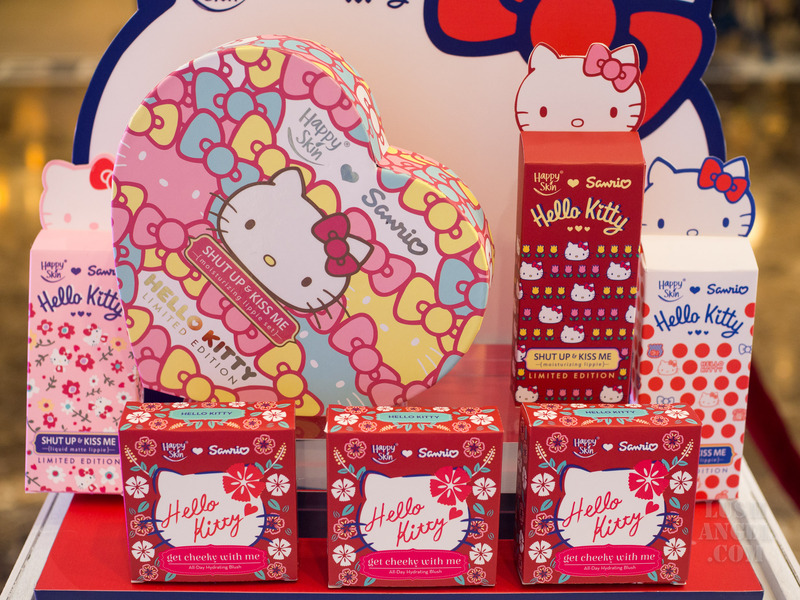 Happy Skin Sanrio Characters Air Touch Sponge comes in 3 characters: Little Twin Stars, Hello Kitty, and My Melody. Little Twin Stars comes in 2 mini blending sponges (purple and blue to remind you of Lala and Kiki) that can be used for the cheeks and under eye area. 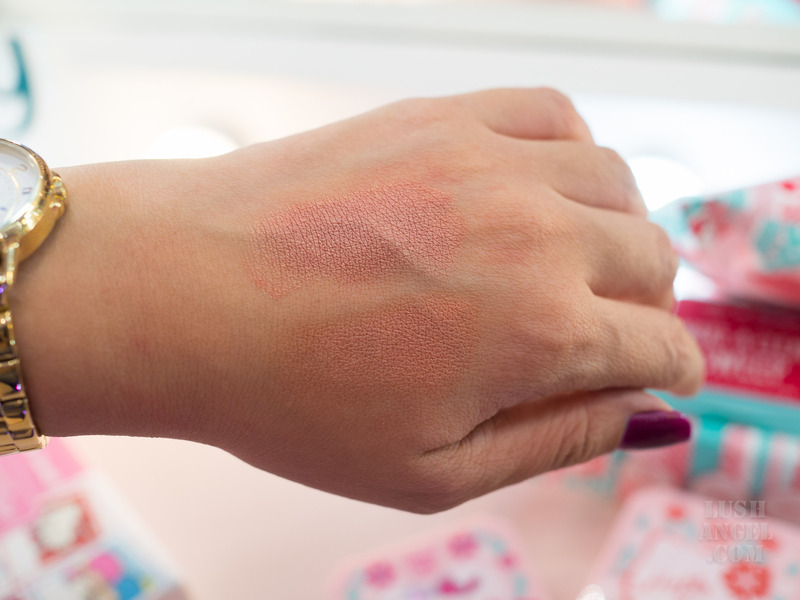 Hello Kitty and My Melody are three-way makeup applicator and blender. Hello Kitty comes in punchy red, while My Melody is in a fun pink. 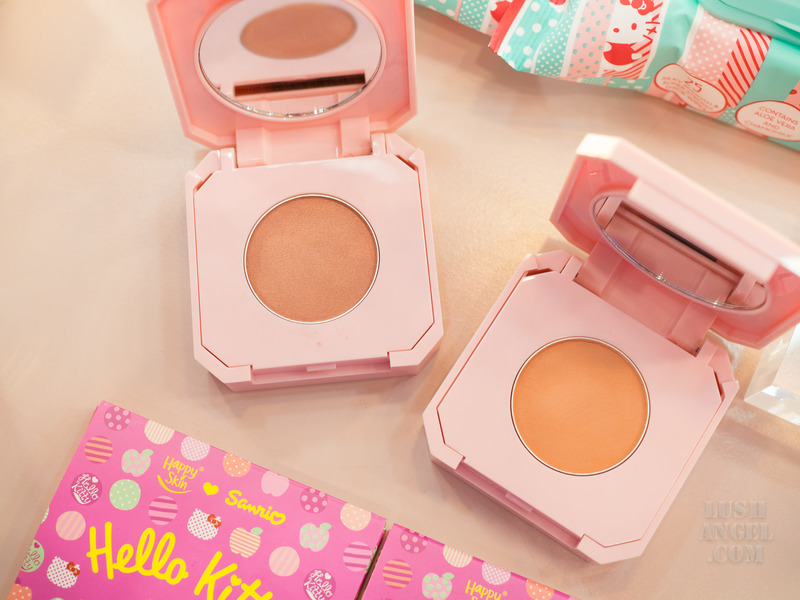 Congratulations, Happy Skin and Sanrio!